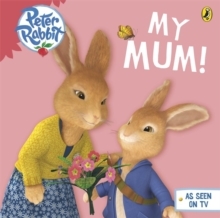 Peter Rabbit wants to make his mum her favourite strawberry pie as a Mother's Day gift. But the best strawberries grow in Mr Tod's garden . . . Will Peter and his friends Lily and Benjamin be able to gather enough strawberries before that sneaky fox puts them in a pie of his own? With artwork from the fantastic new animation, this exciting story is simply told for very young children. Featuring favourite characters, including the villainous Mr Tod and of course Peter Rabbit and his lovable bunny friends.